We are a cupcake family. Some people get excited to get ice cream with the return of warm weather, but we enjoy picking up a pack of cupcakes and heading to the park for a sweet treat at the playground after dinner. I passed this craving on to my oldest daughter in utero with a weekly after lunch cuppie (Holy Cow Cupcakes, may you rest in peace) and my youngest does tricks for licks of icing. 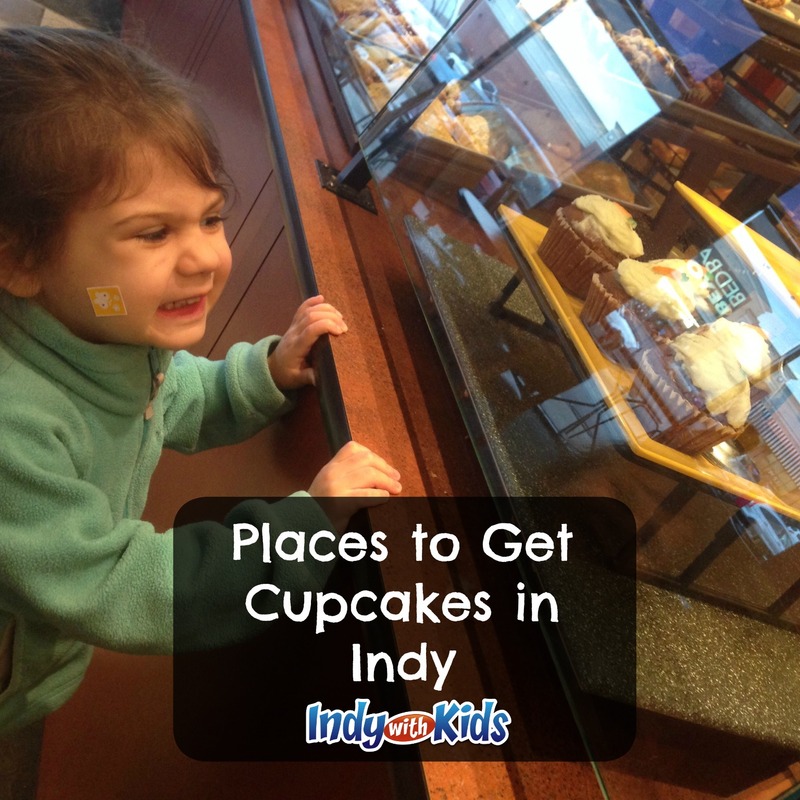 Lucky for us, there are so many great options for cupcakes in Indy! Say local cupcakes in Indy and the first name that comes to mind is The Flying Cupcake. 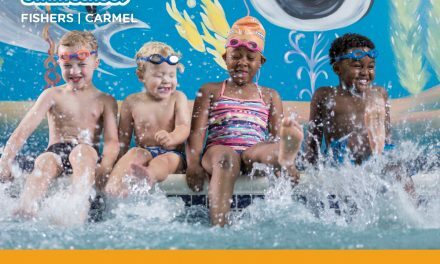 With 5 locations and a 6th coming to Fishers in late summer, there’s bound to be one nearby. The Flying Cupcake is a special favorite of those with food-allergies, as their N. Illinois location is home to their RAW menu, featuring a full range of gluten free and vegan (dairy-free!) cupcake options. You might also see TFC’s trucks, Petunia and Penelope, out at various events though out the summer, bringing the goodness to you! TFC also hosts super cute Cupcake Parties at their Carmel and Greenwood locations- I see one of these in our birthday future! If you love icing, Gigi’s Cupcakes may be the best spot for you. There are 2 locally-owned franchise locations of this Nashville-based chain, 1 in Fishers and the other at Keystone, and they have a signature way of piling on the creamy goodness! Gigi’s also has 2 cupcake trucks, Pinky and Scarlett, that are favorites around town and I’m a huge fan of their order online feature! Don’t forget to check out their gluten-free varieties (at least 3 every day), as well as their bread loaves, cheesecakes (cupcake sized! ), and stuffed cookies. Vanilla Bean Bakery, in North Willow, doesn’t just make cupcakes, but boy do they excel at them! They make the most adorable- and delicious- custom cuppies. Perfect for a birthday party of any theme. If you aren’t a north sider, Kim’s Kake Kreations is the south side’s best bet for custom party cupcakes (don’t let the old Buger King building fool you- they KNOW how to bake and amazing cupcake… and they even deliver! Closer to Broad Ripple? You must check out Sweetie’s! Also housed in a former fast food building (I believe a Domino’s in their case), they’ve repurposed the kitchen to make magic! Don’t miss the Sweeties Cart at Banker’s Life Fieldhouse and their cupcake truck out and about town, and enjoy the convenience of online ordering. Another name in cupcakes you’ll hear come up again and again is The Confectioneiress and there is a reason why her cuppies have a cult following- they are decadent! Head up to Zionsville to see why these cupcakes are delicious AND beautiful– you should probably try a French Macaron while you are there. Don’t be discouraged if the cupcake craving hits and you are near one of these fine establishments- many chain restaurants and groceries have some pretty incredible offerings. Can’t give up ice cream, but still want a cuppie? Try Cold Stone’s version, sold in singles or 6-packs. I’ve never regretted a chocolate cupcake after lunch at Panera- they make vanilla and carrot on the daily too! It’s also a little known fact that the bakers at Kroger, Marsh, and Target all whip up cupcakes in-house made with love- always check the case for the really special, fresh stuff- and Earth Fare, Whole Foods and Fresh Thyme’s selections often rival some of the specialty shops and often with special ingredients. Need melt-in-you-mouth cupcakes for a big party at a low price? We also know Costco makes amazing sheet cakes… they’re just as good in individual form! Am I missing your beloved cupcakery? An amazing booth at your favorite farmer’s market? CLUE ME IN! And enjoy discovering all the pint-sized treats Indy has to offer. PreviousIndianapolis Breastfeeding Support – A Plethora of Options!